I can’t believe it’s been 20 years since I first started reading Harry Potter! 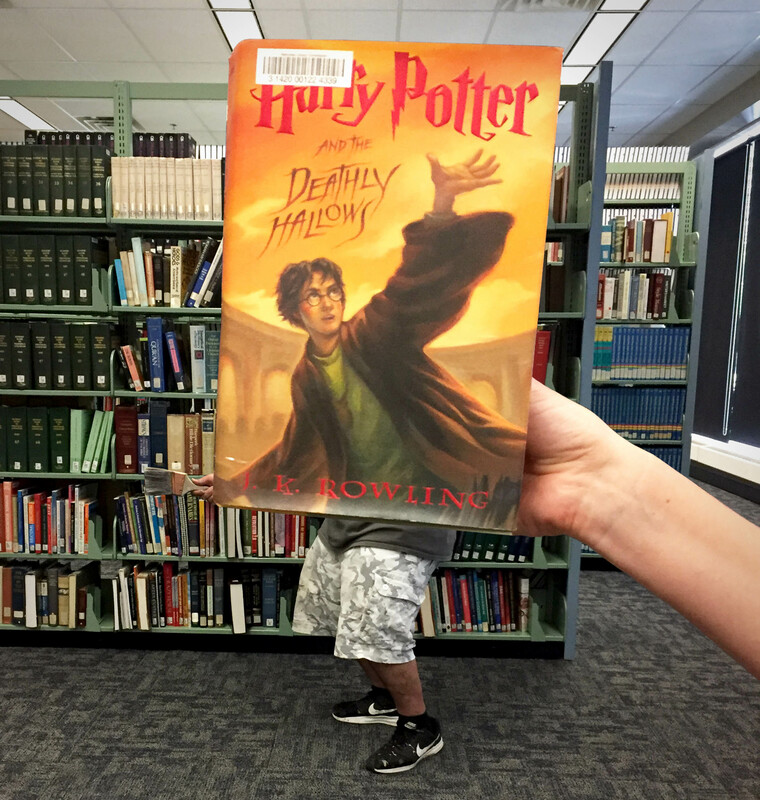 We’re celebrating the iconic series with this week’s #BookFace! Featuring two of the series novels, “Harry Potter and the Deathly Hallows” (Arthur A. Levine Books, 2009) and “Harry Potter And The Order Of The Phoenix” (Arthur A. Levine Books, 2003). As an added bonus July 31st is both J. K. Rowling and Harry’s birthday! It also marks the day Harry found out he was a wizard. NLC has the entire series in our Book Club Kit collection, and they can all be reserved for your book club to read today! This week’s #BookFaceFriday models are some very special magicians we’ve had at the Commission lately, NLC has been getting a bit of a facelift with new paint and carpeting! It’s like having our very own house elves. We asked a few of the Brown Brothers Construction crew to step in as this week’s models! 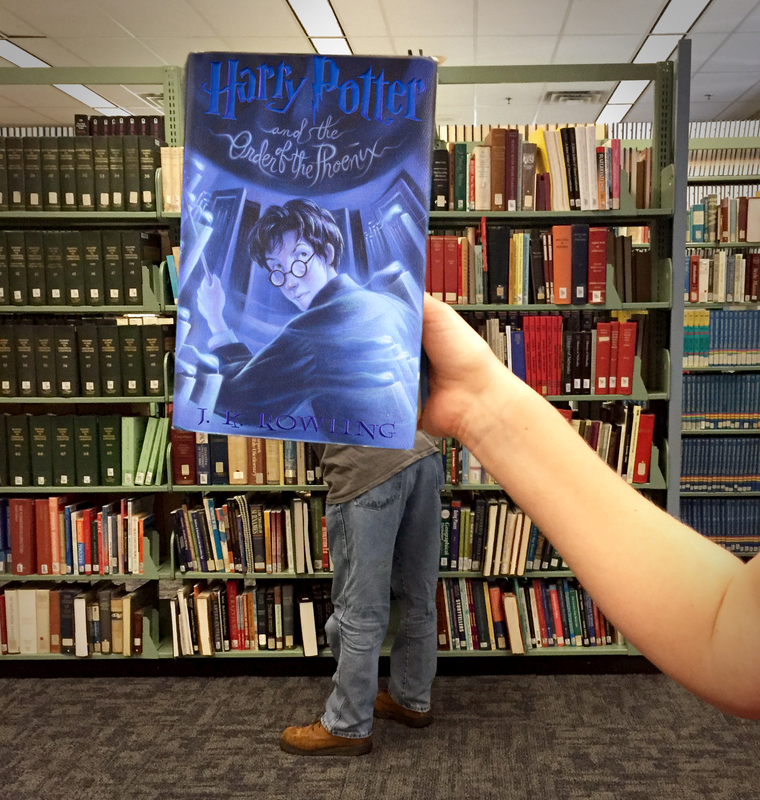 This entry was posted in Books & Reading, General and tagged Book Art, Book Club, Book Covers, bookface, bookfacefriday, books, Harry Potter, J.K. Rowling, Reading. Bookmark the permalink.